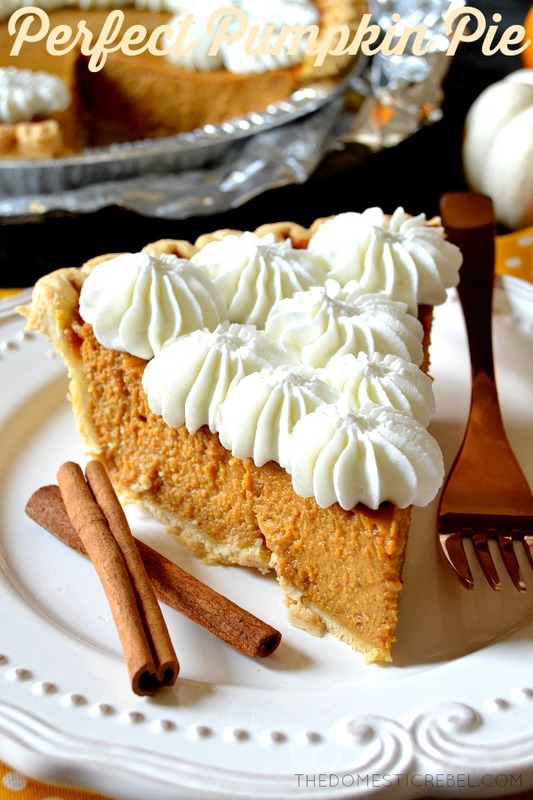 Just in time for the holidays, this Perfect Pumpkin Pie is creamy, beautifully spiced, sweet, and utterly perfect! 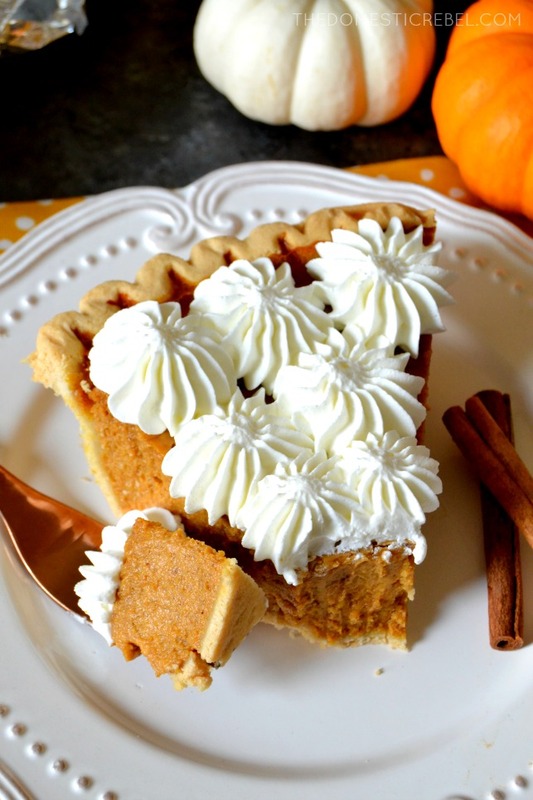 Disclaimer: pumpkin pie is not usually my first pie choice. Or my third. Or maybe even my fifth. I know, I know. 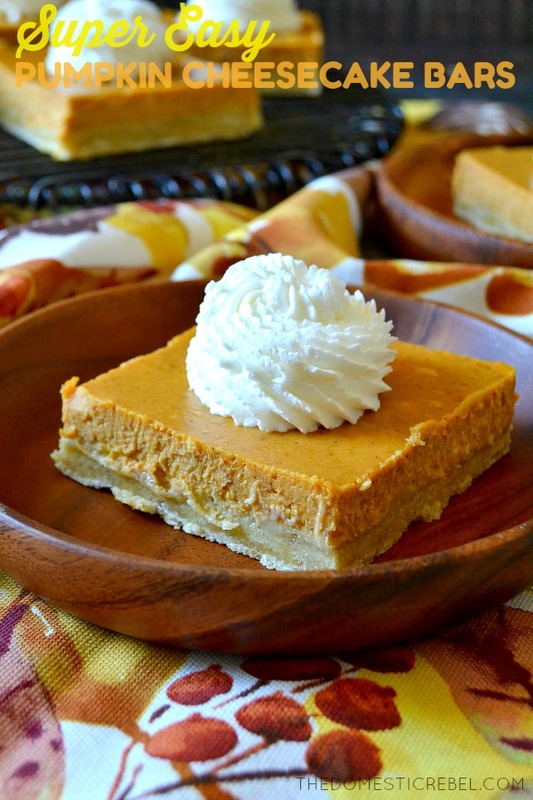 How can I be a dessert blogger when I can’t even like the quintessential fall pie? I AM SORRY, OKAY. I’M SORRY I LET YOU DOWN. 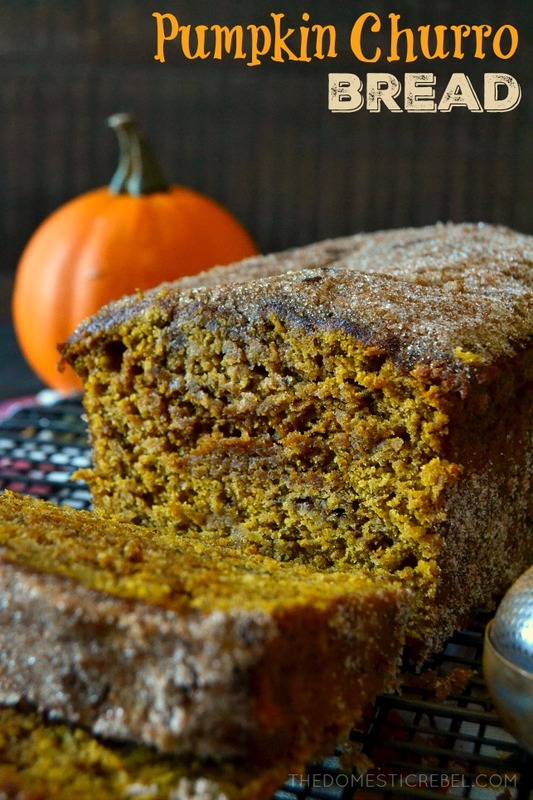 I like other pumpkin things, like the pumpkin bundt cake from Nothing Bundt Cakes. I like that a little too much actually, having gone there three times in the past two weeks to take home little bundlets and devour them in front of a Stranger Things marathon. DON’T JUDGE ME. I like pumpkin cookies, with their soft and fluffy interiors and their generous slathering of cream cheese icing. But pie? I’ve failed you, friends. But this pie? It passed my weird pumpkin litmus test with flying colors. I like pumpkin pie! 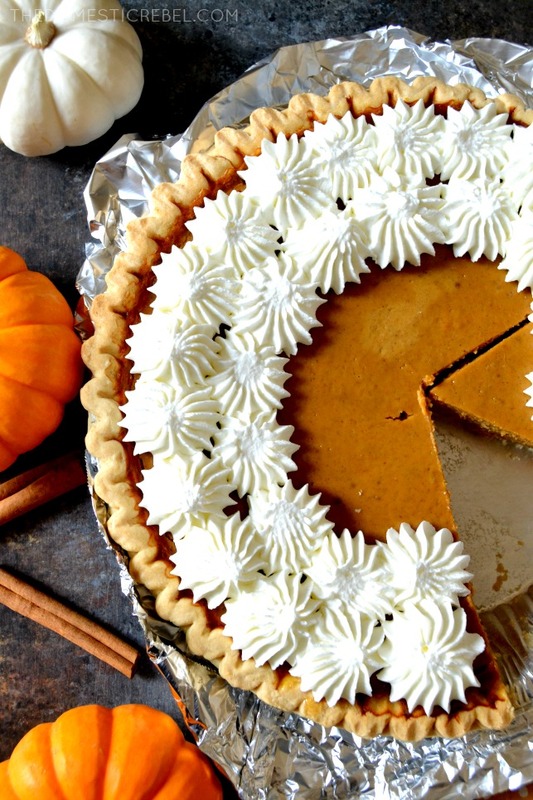 Confession: as a kid on Thanksgiving, we’d finish our huge meal and my grandma would cut everyone a piece of frozen pumpkin pie. 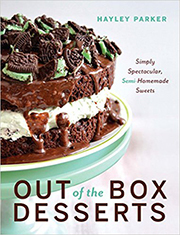 (She’s not a baker, nor a cook, so everything was frozen, boxed, etc). She’d ask everyone if we wanted a dollop of Cool Whip on top and everyone would say yes… except me. I’d ask for the container of Cool Whip. I’d proceed to pile this measly slice of thawed orange goop with a mountain of fluffy Cool Whip, would scrape off all the Cool Whip and lick my plate clean of it, and then return the slice of pie to my grandma. It’s surprising that I wasn’t RAISED BY WOLVES LIKE THE HEATHEN CHILD I AM. But I’ve reformed my ways with this Perfect Pumpkin Pie. 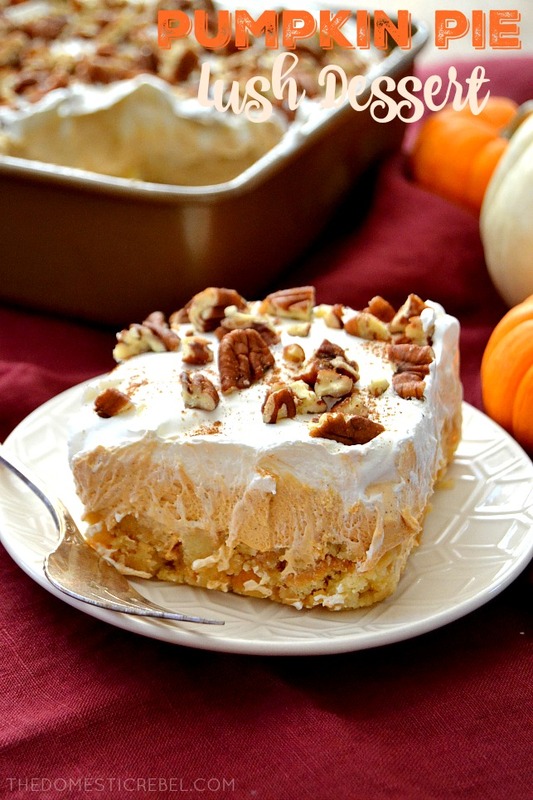 There’s something so creamy and delicious about the filling – it’s perfectly spiced, sweet enough while still letting the pumpkin flavor shine, and of course – it’s a dream topped with lots of whipped cream! So whether you’re like the old me or new me, make this pie for yourself or some pumpkin lover in your life! 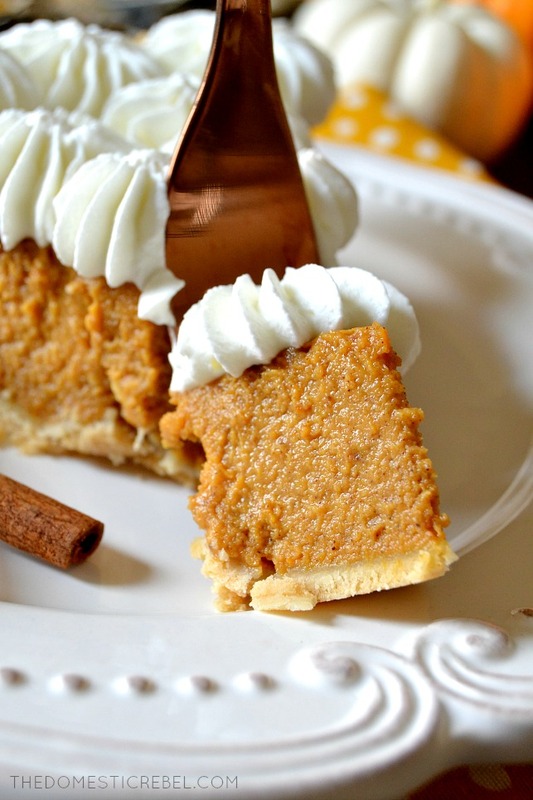 This Perfect Pumpkin Pie is in a word: delicious! 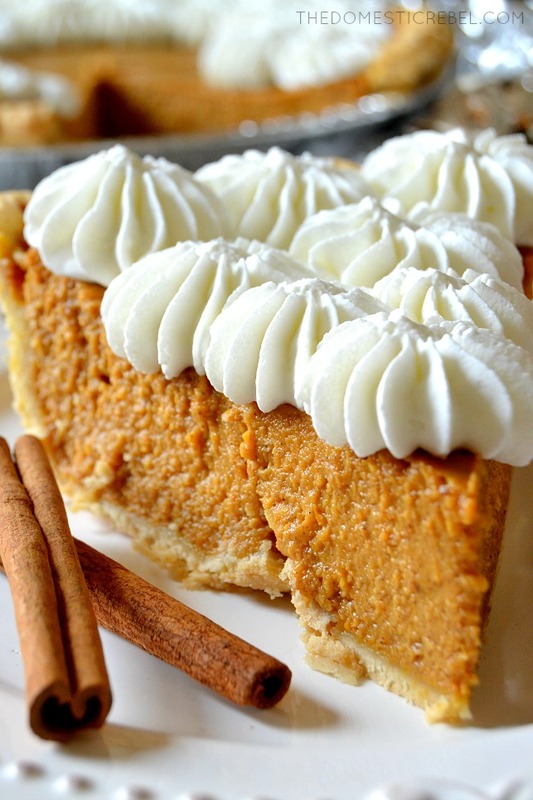 A light and creamy filling that's beautifully spiced and just sweet enough, piled high with whipped cream! Preheat your oven to 425 degrees F. Place the prepared pie crust on a rimmed baking sheet in case any pie filling drips out during the baking process. In a large bowl, whisk together the pie ingredients until smooth and well combined, about 1 minute. Pour the filling into the prepared pie crust - crust will be VERY full. Loosely tent the pie crust edges with pie shields or foil. Bake for approximately 15 minutes at 425 degrees F, then lower the temperature to 350 degrees F and bake for approximately 50-60 minutes or until a toothpick inserted near the center comes out clean. Remove the pie to a wire rack to cool completely, then refrigerate for about 2 hours until firm. 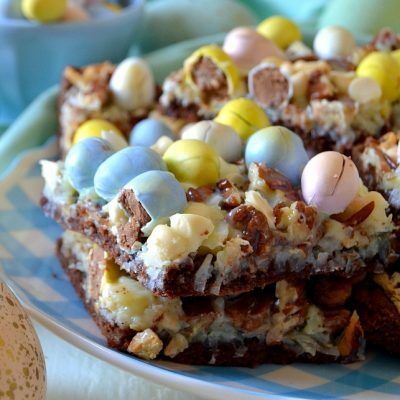 Serve with fresh or prepared whipped cream. 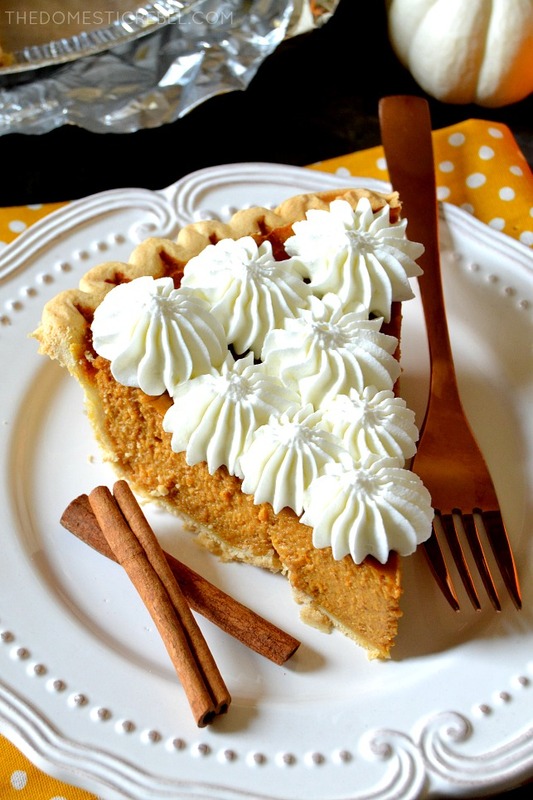 Spiced filling, flaky crust, and mountains of fresh whipped cream: nothing says fall quite like pumpkin pie! Want more pumpkin? 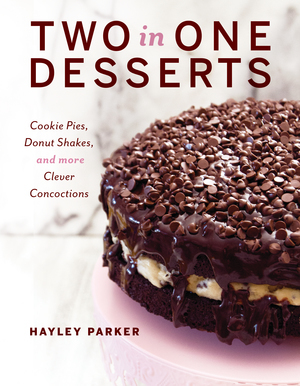 Check out these other recipes! I’d hit that. 🙂 Love the beautiful whipped cream application!